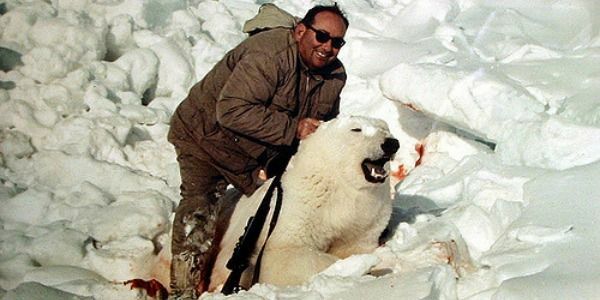 Stop polar bear hunting as a sport! In 2011, Donald Trump’s sons, Donald Jr. and Eric, went on a kill safari in Africa and posed shamelessly with their beautiful and defenseless prey – an African Leopard, a water buffalo and an elephant. After killing the enormous elephant – an animal touted for its intelligence, its tight-knit family structure and its mourning of dead loved ones – they cut off its tail and posed for a photograph. After the death of Cecil the Lion last year and the increasing awareness about the cruelty and nebulous legality of big game hunting tours in Africa, it’s time that any prospective leader condemns sport hunting tourism of all kinds. Please sign to tell Donald Trump to condemn trophy hunting. Petition | Protect grizzly bears by banning the trophy hunt in BC | Change.org. Over 10,000 grizzly bears have been killed by trophy hunters between 1976 and 2012. More than one third (1/3) of grizzly bears killed by trophy hunters are female. In the Spring hunt female bears may be shot due to mistaken identity leaving their tiny 2-5 month old cubs to perish.